Hello! My name is Matt and I’m an English teacher at an Outstanding Independent Day school in Reading. I’ve studied English and Italian to degree level at the University of Warwick, have done a PGCE and have achieved a Masters in Education. I have also marked for all the major exam boards. I studied French and Latin to A-Level and have taught them to A Level. I've taught a range of exam boards at GCSE and am currently teaching the new 1-9 courses for English Literature and Language. I am passionate about English and Languages in general, having particularly enjoyed studying and teaching Shakespeare. I’ve lived in Italy for over a year and have travelled extensively. I believe I am very approachable and build strong relationships with the classes and pupils I teach. I'm currently an English teacher at an Outstanding Independent Day School in Reading, teaching English to A-Level. I have previously taught French, Italian and Latin to A-Level. I have a Masters in Professional Studies in Educational Leadership. I have tutored everything from prep school Latin to degree level English Language. My approach is tailored to suit the needs of my pupils. I'll find out what they want to achieve and then we will discuss between us how they can reach their goals. We'll come up with a range of strategies and choose the one that suits them best. I have done a lot of Making Good Progress (MGP) 1-1 tuition at my schools and have always had excellent feedback. I have done 1-1 tuition in everything from Latin for Common Entrance to English language at degree level. I am very keen to teach more Latin. I cannot recommend Matthew highly enough! 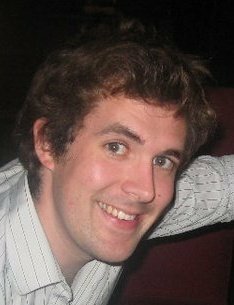 He is an excellent tutor as well as an experienced, qualified teacher of English and is friendly, polite and courteous. Matthew has been helping my son to gain confidence in English and also prepare for the new 9-1 GCSE exams. If you need a tutor then look no further. Matthew is a pleasure to teach and I am very confident of his chances of achieving high grades in the coming GCSE session. Matt is providing tutoring for my 15 year old daughter in English Language & Literature for her GCSE. He makes all the sessions interesting and enjoyable and my daughter really looks forward to them. Her confidence and capability has increased and she is optimistic about getting a very good grade in the summer as a result of Matt's help. I had Matts help for my sons latin common entrance exam. Matt helped him Immensely and got him from an E to a B. Ben had a great time with Matt and will definitely have him back again! He is a great tutor! Thanks so much! I am a big fan of Ben and would be happy to come back any time. Matthew is a very knowledgeable and responsible young man. He is very patient with my son and has a very good understanding of GCSE marking requirements and is definitely worth the price. Thank you so much for the very kind feedback. I am a great fan of working with Andrew and believe that he will do very well indeed. I have contacted you and agreed to start the class on 22nd 5:30pm. But you didn't show at that time and after that I cannot contact you anymore, you didn't answer the phone, didnot reply the sms even I tried many time. So totally I have no idea what happened. I am very confused. I was the one trying to contact you for several days. I did not receive any texts, missed calls or voice mails messages.